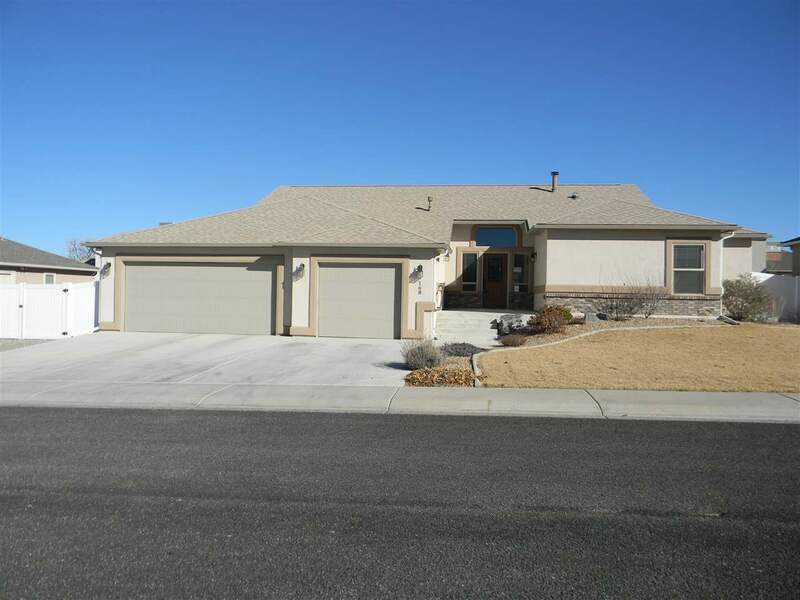 Located in Hawks Nest Subdivision this Stucco one level Ranch style home features vaulted ceilings in the open concept in the living/dining/family room/kitchen areas, with a split bedroom design. Master suite includes 5&apos; corner soaking tub, 2 vanities, 4&apos; walk in shower, walk-in closet and private patio area.There are two additional bedrooms located together with the full bath and a 4th bedroom that could also be used for an office. The oversized 3 car garage has access to the RV parking area that includes a 10 ft access gate, raised garden area, "Trex" decking on the covered back patio with view of Grand Mesa and the Bookcliff range. East back yard. Refrigerated Air. Courtesy of New Horizon Development, Inc.